Mark Linley has been an art teacher for many years, running several very popular evening and holiday courses. 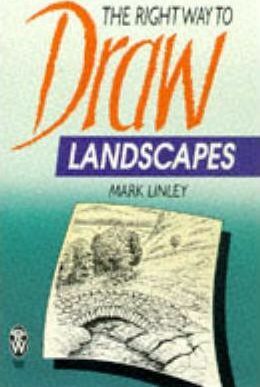 Back in 1989, he was employed as a health education graphic artist in his local schools, adding a new dimension to teaching by encouraging children to learn while they draw.Mark's infectious enthusiasm and passion for drawing shines out from his highly successful series of drawing books. His motto is that, "You can learn to do anything if you think you can. If you draw something badly you are looking at it the wrong way. Anyone can draw if they want to, as long as they observe carefully".All of the books share Mark's uniquely inspirational ethos: "If you can hold a pencil, you can draw. It's a question of knowing how to look! That, and positive thinking, of course". He unlocks your hidden talents and proves that drawing can be an extremely rewarding pastime. As Mark himself says: "If you have never drawn anything except breath, don't worry; I have ways of teaching you!" From simple, but effective, 'dot stipple' techniques, to more tricky issues of perspective and proportion, Mark explains all clearly and concisely, without condescension or use of complicated terminology, so that you can just focus on enjoying your new-found skill!